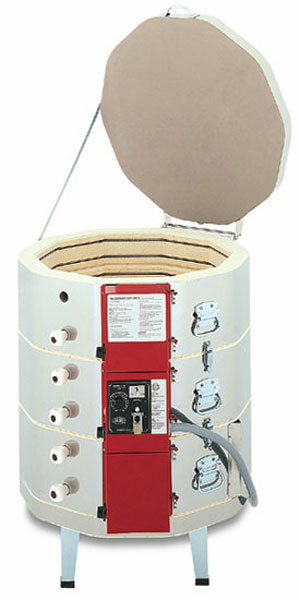 Model 1018 kilns have a 23-3/8" diameter firing chambler that is 18" high, and fire to Cone 8 (2300 F). 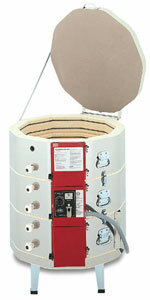 External Diameter is 33". Shipping weight is 174 lbs.